Dr.Bernard always provides great guidance and assurance .. His words of comfort really helps !!! He also makes me clearlyunderstand everything in English rather than medical terms which provides a comprehensive understanding . Dr.Bernard always provides great guidance and assurance .. His words of comfort really helps !!! He also makes me clearly understand everything in English rather than medical termswhich provides a comprehensive understanding . He took the time to address all of my concerns. Staff was professional. I was in and out with lab workin less than an hour. He took the time to address all of my concerns. Staff was professional. I was in and out with lab work in less than an hour. About Dr. Bernard Cavazos Jr.
Bernard R. Cavazos, Jr., M.D., F.A.C.O.G. is president of Oak Hills Womens Center, P.A. and has been in private practice in San Antonio since 1982. A life-long resident of San Antonio, he completed his undergraduate degree at Trinity University in 1974 and received his medical degree from the University of Texas Health Science Center at San Antonio in 1978. Dr. Cavazos then performed his internship and residency in the Department of Obstetrics-Gynecology at UTHSCSA. 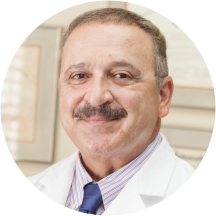 Dr. Cavazos Jr. is certified by the American Board of Obstetrics and Gynecology and is a fellow of the American College of Obstetricians and Gynecologists. As a member of AAGL and AIMIS, international organizations that promote minimally invasive surgery in women, he continues to pursue his interests and further his skills in laparoscopic surgery. Dr. Cavazos is a Clinical Associate Professor at UTHSCSA Department of Obstetrics-Gynecology. He also is on the teaching faculty of Ethicon Endo-Surgery, Inc. and Cooper Surgical, Inc. **Our office recommends you enter your insurance policy number & group number to ensure benefits are obtained prior to your visit** *Our office requires that your current insurance card and ID be presented at the time of your visit. If you are unable to present your cards, you will be asked to reschedule. Patient reviews for Dr. Bernard Cavazos Jr. He was very nice and answered all my questions. He made me feel very comfortable. Angie his nurse was awesome. I highly recommend Dr. Bernard, from the beginning he has been amazing. He actually listens to what you have to say and your concerns. I love Dr. Cavazos! I have been seeing him since my very first Pap-Smear and I absolutely love him. He is EXTREMELY knowledgeable, professional, and has the patience to answer all of your questions. He never makes you feel rushed andhe makes you feel comfortable enough to ask any sort of question. His nurse, Angie, is also amazing. I absolutely love this office. I was truly impressed by his attention to my concern. He has great bed side manner. He took the time to reassure me of the situation. He explained in detail his diagnosis, and plan of treatment. I would highly recommend Dr.Cavazos to other patients. I was not disappointed at all, and will continue to have him as my physician. He's quick and efficient. Very kind and easy to talk to. Okay everyone was so nice from the check in, Christiana at the desk was really nice and understanding. Dr Cavazos was super nice and friendly. Very informational as well! Dr. Bernard Cavazos was personable and funny and professional all at the same time! I'm so thankful that I found a great doctor. I will be going back to him. Dr. Cavazos was wonderful! He took his time to explain everything, and was extremely knowledgeable and patient. Angie was also great. I am so happy with everything about my visit! Wonderful Doctor, very kind ! Dr. Cavazos is an excellent doctor. He is friendly, makes you feel at ease, thoroughly explains things and answers your questions. I went to him once when my regular doctor wasn't available, and I switched permanently to him after that one visit! Dr. Gonzalez is very experienced and made me feel comfortable during my visit. Annuals can be uncomfortable but this visit was very smooth, and professional. I found my new doctor. Dr. Cavazos is very attentive and answers all my questions. He is very experienced and it shows! He knows what he's doing and I wouldn't want to go anywhere else. Has been my doctor for 11 years. Think very highly of both Dr. Cavazos and his staff. Dr. Cavazos is awesome! Love him every appointment I attend I never feel uncomfortable! He has a great personality, and is quick and efficient. While the wait time was a bit higher than I would like, it was worth it to see Dr. Cavazos. He is very friendly and thorough. The doctor was backed up, but staff was proactive in telling me of the delay and were able to fit me in later in the day, which was great! I was able to run other errands until the staff called toinform me that the doctor was available. When I arrived all staff were extremely prompt! Got a call in the morning saying they wouldn't accept my insurance, when on here it said they did. I LOVE this doctor. I was nervous at first because he is the first male obgyn I have ever seen, but he immediately made me feel comfortable. He is a wealth of knowledge and really takes the time to educate hispatients, which is calming and prevents any kind of stress. I highly recommend Dr. Bernard Cavazos Jr. I like that he talks with you.. And is honest makes you feel comfortable in an uncomfortable situation. Dr. Bernard Cavazos Jr is an excellent physician. He is very professional and personable. He took his time in explaining procedures, etc. I highly recommend Dr. Cavazos! Very professional but not uncomfortable. He encourages questions and seems to try his best for solutions. Very professional. Excellent and thorough with feedback. I was nervous seeing a male obgyn for the first time, but Dr. Cavazos was personable, an extremely good listener, and answered all of my questions. I highly recommend him! He is friendly and informative. I was able to go online to schedule my appointment (this one) for the very next day. The office was extremely busy when I arrived which might explain the lengthy wait time. Overall, I am pleased.